"Valquest" built by Bloemsma & Van Breemen shipyard is a 134' sloop designed by Dubois Naval Architects with noteworthy performances. To guarantee its speedy ambitions the deck rigging is on the same par. 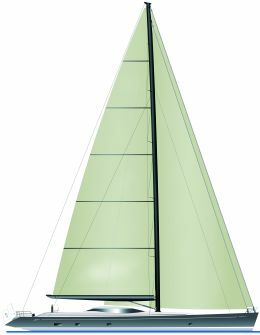 "Valquest" is entirely built in aluminium with a fairly unusual low profiled streamlined deck house and double steering to allow for constant control of the sails' settings from both sides of the boat on which ever tack it may be on. The interiors' layout is conceived in compartments so as ensure the guests' as well as the crew's privacy. Guests dispose of two double cabins plus a VIP one and the yacht owner has a master cabin of generous dimensions. The crew's quarters comprise six bunks, a galley with saloon and a laundrette. Among the areas in common the saloon is worth mentioning for its dark mahogany wood panel finishing.